I have an old Murray Ultra Terrain mountain bike; it's 15 speed and I had trouble re-mounting the rear derailleur to the frame. It's broken now so I'm looking for a replacement but I'm unsure of what would fit. Here's a photo of the other (non-drive side) of the frame. From what I understand, the number of gears on the rear cassette, denote the type of derailleur replacement--in my case, 5. Is this correct? Where can I purchase the best replacement derailleur for this bike? I prefer to order off Amazon but will look at other options. 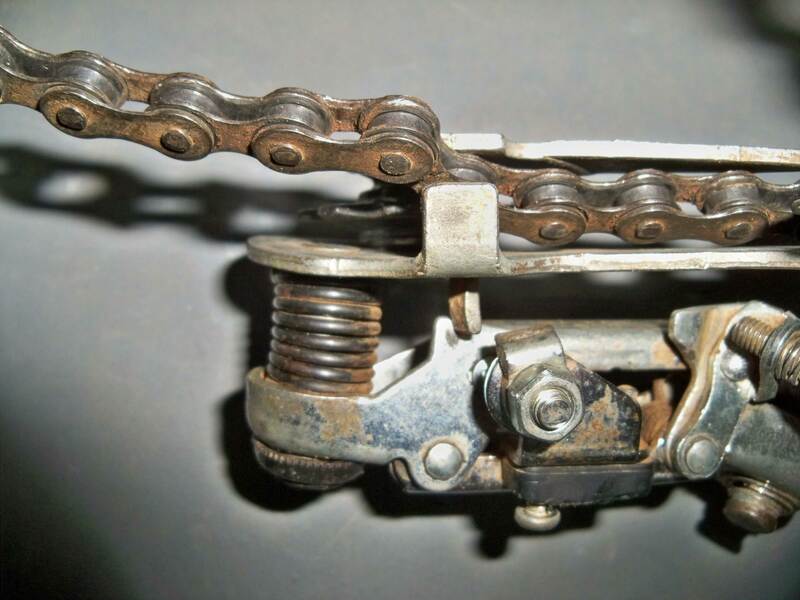 The derailleur looks fine (though new pictures show it isn't), it is just installed wrong. 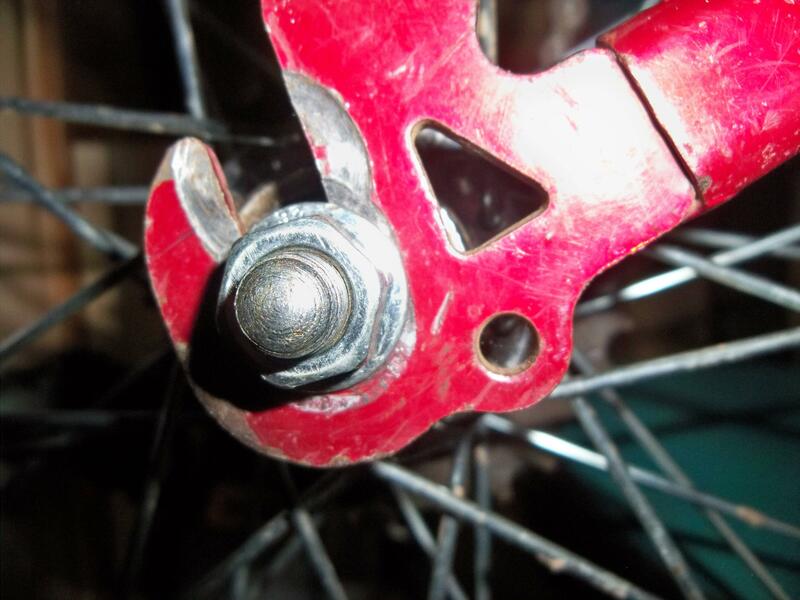 The screw that can be seen above the axle in the derailleur photo holds a piece of metal on the other side of the mounting claw. It is what keeps the derailleur in correct position. It should go into the same slot in the frame as the axle. 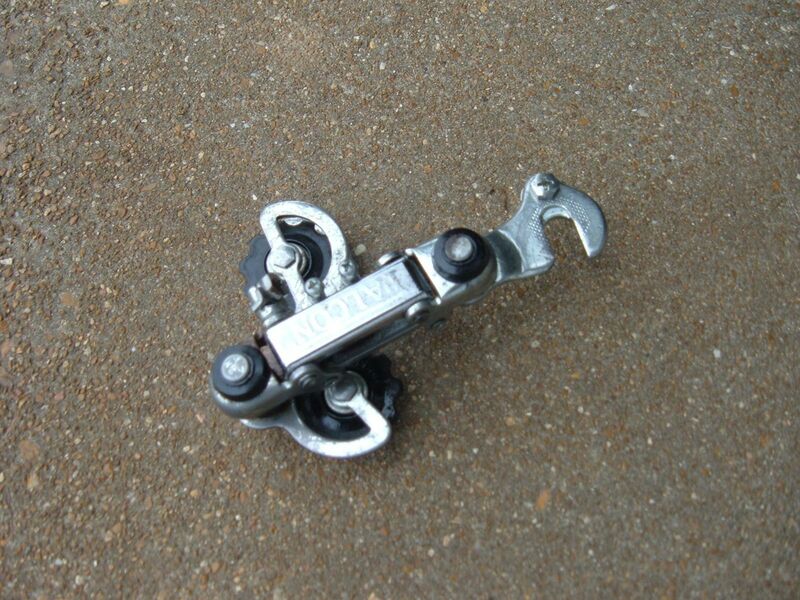 Image search for "claw mount derailleur" shows what it should look like when installed correctly. EDIT: The new pictures show it's broken. 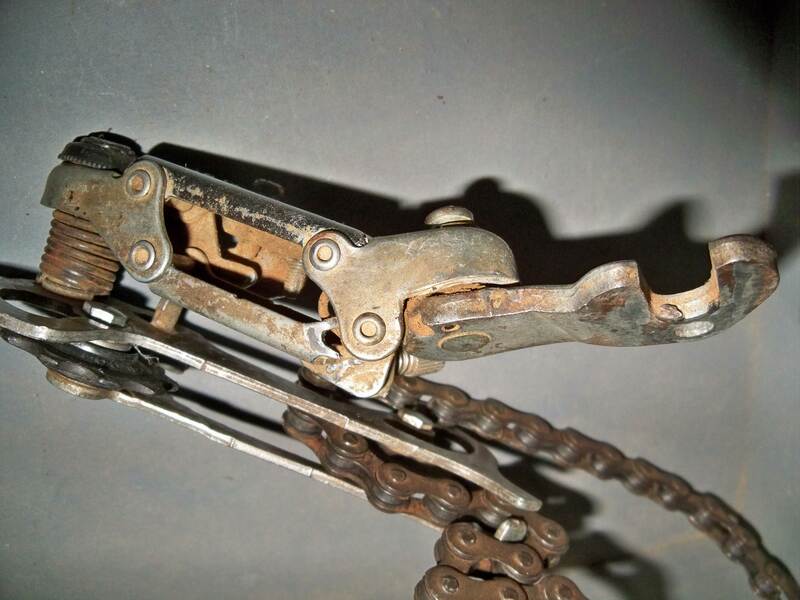 The choices are either to get a new one (eBay has lots of choices under €10) or get any other claw mount derailleur and use it without indexing. Right there in the middle is where it's obviously broken. I think it's clear I need a new derailleur. Hopefully these pix make it easier to understand what replacement will work. 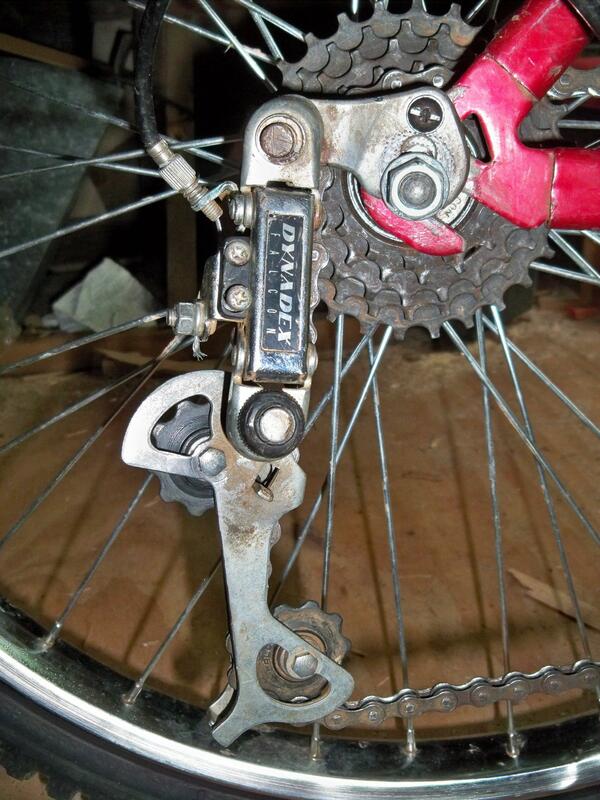 My concern is in finding a derailleur that fits or having to use the old derailleur hanger, which may work. I'd appreciate any advice. Not the answer you're looking for? Browse other questions tagged mountain-bike derailleur or ask your own question. What crankset should I buy to suit an 8 Speed Campy freehub? 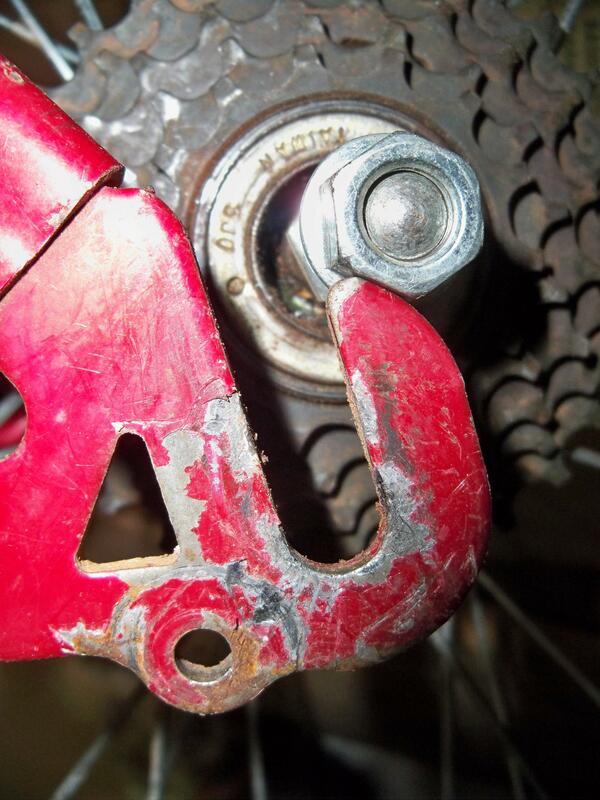 Can I use a derailleur hanger in my old frame? 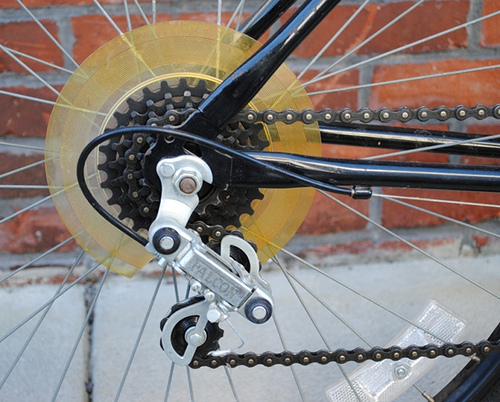 How do I find the right derailleur (gear-mech)? Derailleur guard on road bikes? Rear V-brake pivots (cantilever studs) asymmetrical on Specialized Hardrock XC 2004 - how to fix?